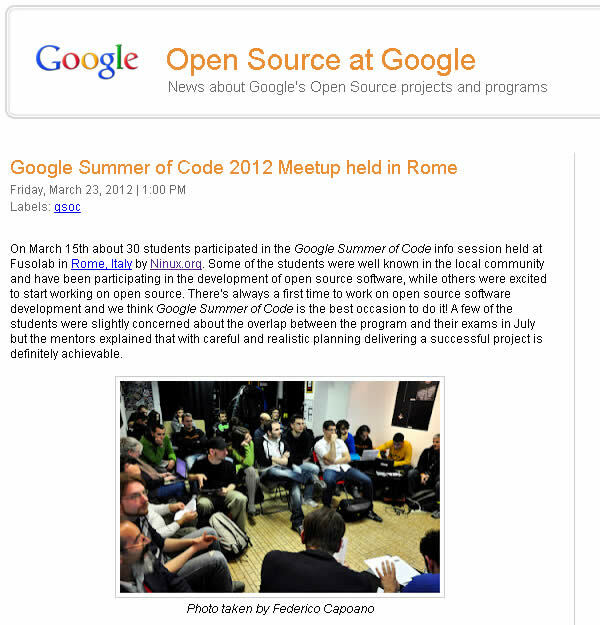 Being a member of the ninux.org wireless community network I was very happy to see google has published a post about us. Notice the picture in that blog post has been taken by me, not a great photo, but very happy to see it there with my name anyway. I don't know why but this google summer of code thing really excites me. Maybe is because I always desired to work on open source projects.